What are the main uses of virtual reality nowadays? Virtual Reality is currently one of the most powerful tools within the 3D industry. The more capacity the teams and the technology have to develop more realistic and impressive immersive experiences, the more uses we find for it in diverse professional fields. This time, from forma’s blog we want to review the various professional areas that can benefit from using virtual reality. This is currently one of the most favoured fields. 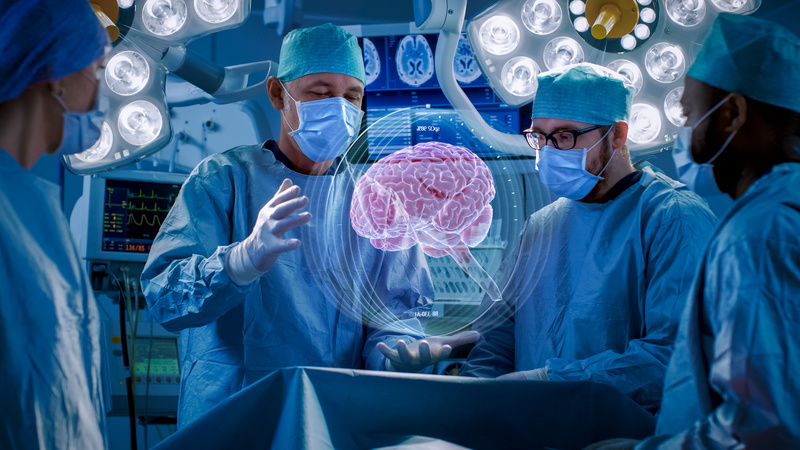 Thanks to the use of virtual reality, the medicine reaches a higher degree of efficiencyand becomes a powerful ally in the operating rooms, for example. Virtual reality is used in medicine in simulations to train doctors, surgery, phobia treatments and psychological traumas; it is also used for pain control, thanks to distraction techniques. An example of the use of virtual reality in medicine is the one shown in this episode of The good doctor, in which two of the characters use virtual reality to guide themselves and train as if they were really operating. A more popular use of virtual reality is military training. These professionals can so improve their abilities and train their skills in a save environment. They simulate different scenarios, as if they were in a real battle field, with the advantage, though, that they can increase the training frequency at a lower cost than if they were in a real training field. Apart from the on site training, virtual reality is also used for training pilots thanks to flight simulation. Some of the big advantages of using virtual reality in aerial training are the reduction of transfer time between land and real flight training, safety, being this system cheaper and less polluting. The possibilities of virtual reality in the field of education are endless and allow creating new educating models that are changing the way we teach, independently from the learners’ age. One of the most frequent uses is architectural models or human body parts visualization, in relation to the above mentioned uses of virtual reality in medicine. Virtual reality is used in tourism to carry out visits as if the visitors were actually in the place they are seeing. One of the most remarkable uses of virtual reality takes place in museums, as it allows easily putting the art works into context and improves the message to be transmitted. In this sense, virtual reality provides dynamism and interaction, improves the visitors’ experience and attracts visitors that may have perceived museums as boring places before. In the case of guided tours through architectural ruins or natural spaces, virtual reality brings plasticity and aesthetic beauty. Plus, it preserves objects and buildings thanks to a lower erosion. The use ofvirtual reality in videogames is the most common use for the general public. It is also the fastest growing market in the three last decades and its fans can spend huge amounts of money in order to gather any required element to experience a full immersion. Although medicine, training and tourism are nowadays gaining ground in relation to the gaming industry, this has made a qualitative step forward thanks to devices such asSamsung Gear VR, Oculus VR, PlayStation VRand HTC Viveamong others. Last but not least, it is worth highlighting that virtual reality applied to the fashion industry has meant a revolution, bringing the most exclusives catwalks to the mass audience. At formaVR, we are experts in developing tailor-made virtual reality experiences. Please do not hesitate to contact us if you would like to have more details or want to get a deeper knowledge in virtual reality. We will be more than happy to assist you!